Data Recovery Software for Windows – Works with Windows 10, 8, 7 & Vista. Stellar Data Recovery for Windows - Professional is a safe, secure, and easy-to-use data recovery software that recovers deleted photos, videos, documents, emails, files, and other data from internal hard disk drive and all detachable data storage devices including external hard drive, USB flash drive, memory card, Pen Drives and optical disc (CD/DVD). Data Loss Cases Where Windows Data Recovery Software can help? The software supports recovery from NTFS, FAT, FAT16, FAT32, & exFAT file systems for drives and partitions. It smoothly recovers lost files, pictures, documents, and more from accidentally formatted media and corrupt disk. The Software is powerful enough to recover files and folders from a password protected hard drive. Enter the password when asked to gain access to the recovery options for the encrypted drive. Using 'Can't Find Drive' option under 'Other Locations' in the Select Location screen, you can select and scan the hard drive for missing partitions that are lost due to corruption or accidental deletion. After scan, all the partitions that are found are listed under the Partition Found section. Use 'Deep Scan' if you don't find the desired partition. This feature helps you to recover data by creating an image of your hard disk. This helps in recovery of data from a sensitive hard drive with lot of bad sectors by minimizing its usage. If a faulty drive is used for longer period of time, it can lead to further corruption and permanent data loss. Windows Data Recovery - Professional is a safe, secure, and easy-to-use data recovery software that recovers deleted photos, videos, documents, emails, files, and other data from internal hard disk drive and all detachable data storage devices including external hard drive, USB flash drive, memory card, and optical disc (CD/DVD). * Download the trial version to scan & preview all the lost files & folders. 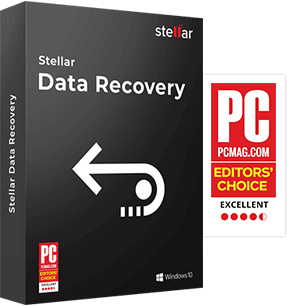 Stellar Windows Data Recovery - Professional software is all you need to recover everything lost in the event of data disaster. "High-powered, fast, full-featured file recovery. Exceptionally lucid and helpful interface." "Stellar Phoenix works quite well and recovers deleted files quickly. The interface of the software is quite easy to use. " Our Flagship Windows Data Recovery software provides options to recover from multiple storage media. This software is available in different versions according to their recovery capacity. Simple Data Recovery Solutions for All Data Loss Situations. Recovery of Deleted Photos, Videos & Audio files. I just bought your software and it really saved me. My original external drive was formatted for mac files but I accidently partitioned it for PC format today. That is when I lost all my files and data. Fortunately,your program rescued them. As per your instructions, I copied the rescued files to a new external hard drive. Thanks for this recovery software - helped me recover all data deleted because of trojan virus. Took some time sorting through previously deleted and corrupt files. Thanks again - life saver! In case your drive is not detecting or you simply prefer to have an expert to get back your data; try our professional data recovery services. 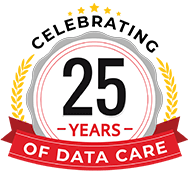 We perform 50,000+ service jobs per year in our data recovery centers. Give it a Try. This could be the best experience you ever had for recovering data.